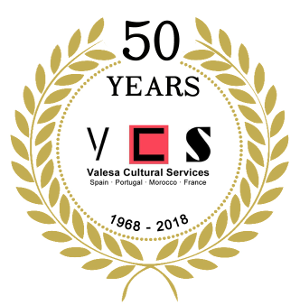 Valesa Cultural Services – Spain & Portugal has been owned and operated by Americans for the past 50 years. 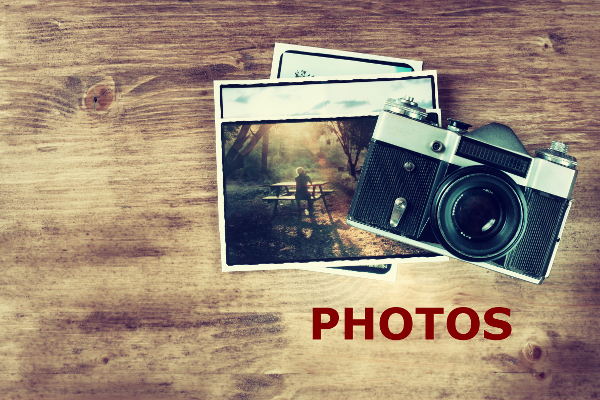 Our background and long experience are your guarantee that we understand and meet the expectations of the most demanding clients. We are an expert team of enthusiastic travel professionals, long-term resident bilingual Americans and Spaniards who work together combining specialties such as history, art, food and wine in order to offer the best and most attractive trip arrangements. Our team includes the best guides and drivers, historians, art curators, chefs, flamenco dancers and exclusive local experts available for our most discerning clients. FRANCE! 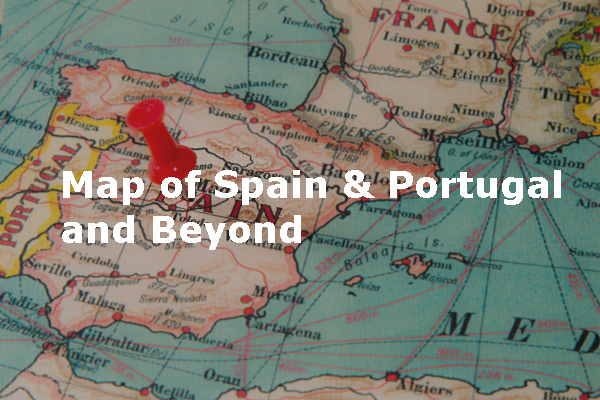 The past year has seen our debut across the northern border… but only within easy reach of Spain, of course! Our approach to travel planning is always personalized and experiential, as we strive to serve American client needs by offering only the best guides and the most authentic, hands-on experiences around. We believe a regional approach to travel offers the best insight into each area, regardless of where current borders may lie. The French Basque country is a beautiful, small area just 20-30 minutes from San Sebastian (where only 20% of the total Basque population lives). Our guide Monserrat and drivers were great, and we loved all the tours. Lisbon was our favorite. Loved the hills and old streets. The hotel was amazing. Our guide Isabel was great- loved both half day tours. Thank you again for all your hard work- it was truly wonderful. So again, thanks for making my client (and me) so happy. Everyone wanted to tell you that the visit today at the Penedes Winery was a great hit. Extraordinary. We’ve all been on many wine tours before but this one was really different. We were treated like family. I can’t thank you enough for providing great recommendations for my clients and I look forward to working with you in the future!! Jessica what would we have done without you? You are the best - thank you for every heartfelt minute you spent working on our trip and helping us at every turn. We had the most magical magnificent Spain and Portugal experiences and it was all thanks to you, indeed we had a gorgeous trip of a lifetime. THANK YOU!!!!! You are amazing. We had a great time in both Madrid and Barcelona! The tour guides were fabulous!! They all had great personalities and were so interesting! They made sightseeing so much fun!! The drivers were so nice and accommodating! We had a really great experience and wanted to thank you so much for all of your help coordinating our trip!! Thanks again! This is just perfect, Jessica! I wanted to thank you for being so quick to respond and helpful in staying in the client's budget - I'm super impressed by my first time working with you and Valesa and will be sharing that with the rest of my colleagues in our meeting this morning! I wanted to let you know how VERY much the Pfeffers enjoyed their trip to Portugal. They loved the people, the experiences they had, the comfort of the cars when touring. Special kudos to their guide and driver in Madeira who created memorable moments for them on this beautiful island! They were delighted with the Petiscos tour in Lisbon, Porto and the Douro Valley. It was a pleasure to work with you. Going to Barcelona and Bilbao was the highlight of our trip. The drivers and guides were ALL terrific. Your connection in Spain has a great staff. Our guide Elena was a wealth of information and very enthusiastic and the driver Ellie was great at maneuvering around "No car day in the city" by using her backroads knowledge! We've been very content at every step of the trip so far. The accommodations have been stunning. The guide services in Lisbon and this morning's bike ride were both great. I've gotten two calls so far from the Spain based travel agent that you have been working with, checking up on us making sure that we are happy, which we are! We couldn't be happier. Thank you Jessica! We were mightily impressed with Valesa Cultural Services. If we ever get back to Spain and/or Portugal, I'll be ringing your bell to set us up with them again. Their guides were among the best we have ever experienced. In fact, I could go on & on--about all the tours & the tour guides. All in all--perfection! Thank you, Ada, for all you did to make it so. Thank you again for a great job with the Kunkes! They said their guide Isabelle in Lisbon was INCREDIBLE! They had previously said their guide in Barcelona was wonderful too. They said the Hotel Arts was their favorite hotel EVER. Tom and Barbara just got in touch with me to plan their trip to Portugal for October. I understand that they contacted you regarding this trip and you said to contact me first. That was incredibly kind and I truly appreciate your partnership! As for the Burke’s trip, they absolutely loved the trip you designed for them in Spain. They still are talking about their day on the jamon farm like it was yesterday! Our trip to the Azores was excellent. It was planned to perfection from the minute we got off the plane to the minute we left. Overall, it was a wonderful trip, great experience and real pleasure using your services. Thank you so much for the “little touches” in the room with regards to our anniversary and we look forward to collaborate with you in the future. The Hudgins are home from their trip and say their driver Josep is the best ever. …and these people are extremely well traveled and very fussy. I asked what made him so much better than others - and their reply was how he made the whole day so personal with human anecdotes rather than just facts. It’s never too late to thank someone for an excellent job. Everyone who had anything to do with this group of family members deserves very high praise. I’ve been in the business as an owner for 31 years and seldom do you hear such high praise from a client. The experience you gave each of them will never be forgotten. Thank you! Thank you for planning the Barcelona to Lisbon itinerary. On every level - accommodations, guides, restaurant reservations, taxis, tickets, and suggestions - VCS exceeded my expectations. Very happy to be a client of VCS. Jennifer, I just can't explain what a tremendous gift you gave us through the fabulous planning that you did. You leave no I undotted or uncrossed. Your attention to every detail helped my family have a fantastic trip. Thank you for all you do. They LOVED everything and can't wait to return to Spain. THANK YOU from the bottom of my heart for arranging such an amazing experience for me throughout Spain! Thanks again for arranging & sharing an amazing family trip! The time spent arranging all the attractions did not go unnoticed and was GREATLY appreciated. A HUGE BIG THANK YOU to you & your gorgeous guides! The time spent arranging all the attractions did not go unnoticed and was GREATLY appreciated. A HUGE BIG THANK YOU to you & your gorgeous guides! The trip was terrific in all respects! El Nino provided surprisingly warm and sunny weather -- in the 60s -- which made the LA folks feel more comfortable than they anticipated. Thanks for organizing everything. The trip was a total success! Wow, we had such an amazing time! It truly was a perfect honeymoon for us! The accommodations where spectacular and all hotel staff were easy to work with. Our drivers for Porto and Lisbon (Paulo and Vitor) were great. All guides where fantastic as well (Fatima, Marie, Isabel). All the wineries and sites were awesome. I've learned a lot about Port Wine! Thank you! Fred and I had a fabulous time in Spain and Portugal. Your guidance and all of the arrangements you provided enabled us to maximize our time, focus our energy AND relax - a remarkable feat! The people who met us for transfers in each city were prompt, well informed, and generous. We felt entirely spoiled. Obrigado for helping plan our trip to Portugal and Madeira. It was quite a memorable experience. We left with a greater appreciation of the Portuguese people, their history and culture. So thank you VCS for a fabulous vacation. We will highly recommend your services. Spain and Portugal were amazing. We want to recognize the great job Valesa did. Every guide and every driver was on time and where we expected them. Another thing we wanted to note was how the folks at Valesa watched out for us. They took care of our question on the seats on the Seville-Lisbon flight. We would definitely recommend Valesa to others. Spain was awesome! A little hot, but besides that the trip was wonderful. The hotel choices were fabulous, and the guides were all great. OMG. Another incredible day. We are so tired now we can barely see. But every PENNY was more than worth it; if you can, tell Ada we are over the moon and all her arrangements have been perfect. I wanted to give some really great feedback about the Spain On-Site Valesa Cultural. I've been working with them for 13 years (as of today) and I am always happy with their services. But I wanted them to be recognized for this little tour they're working on for me. They have gone above and beyond anything necessary. So I just wanted to let Virtuoso know what a great job Marcy's team did. BRAVO, Ladies! Ann just gave me 30 minutes of fabulous feedback on the time in Spain/Portugal. And the driver from Lisbon to Seville gets an A+. He made them enjoy the trip so much (thanks for the suggestion on driving this route vs. flying between Lisbon & Seville – MARCY)! Thank you both for the wonderful support! I want more Spain business!!! Hi Ken, I am almost back in this time zone and just wanted you to know how much we enjoyed our trip to Spain! It exceeded expectations! Our lodgings were very fine and the locations were excellent. Of the five guides we had we would rank four of them as outstanding and one as excellent....seriously! We could not have been more pleased. We felt well cared for. We will definitely be consulting you in future. Just wanted to pass along the resounding kudos from the Karro family. They LOVED everything – said the trip was a resounding success from start to finish. Just tremendous. Laura, they really appreciated that you called them at the beginning and the beautiful package with all the maps. Also, the change in date for Toledo worked out great. Once again, many thanks for making us all heroes. We are having a wonderful time in Spain. Everything has gone very smoothly. Fantastic hotels and Valesa provided excellent guides. Couldn’t say enough good things about your drivers and guides – especially the one in Madrid, but they loved Paddy too. Thank you again for all of your wonderful attention to my friends. Barcelona experience was incredible, even beyond expectations. Thank you for making wonderful arrangements--it was the 2 days of a lifetime. This makes two very happy clients of mine (the Slaughters too) who used Valesa Cultural services with GREAT success! Thank you for making me look so good and taking good care of my special clients. The guide and driver were marvelous and I highly recommend the Valesa Cultural Services. Our only disappointment was that we couldn't stay in Spain longer." I just wanted to email you and say thank you soooo much for all the help with the Honeymoon. It was absolutely perfect. We both fell in love with Portugal and Spain, such wonderful places. We can't thank you enough. The National Geographic trip was a big success! Our client particularly enjoyed working with Isabel and the local guides - he wrote about Isabel as follows: "Isabel is so incredibly knowledgeable, personable, organized, and professional. She gives the title “Inside Spain true meaning, and the clients understand that and greatly appreciate it. Isabel is without a doubt the most professional, organized, and deeply educated guide I’ve ever had the privilege to work with." Thank you Marcy and Isabel for taking such great care of this National Geographic group and making it a big success! EVERYTHING when so smoothly........ Wonderful that we could slip into the caves and a pure Delight for me to visit the Chillida Foundation. Great opera seat, and the olives and wine spiced and mellowed each meal. Many new surprises when Revisiting old haunts. The Guides were all top notch and very personable.